Elk Lake Publishing, 9781942513407, 308pp. DESPITE THE DANGER At a time when most people in American have never flown in an airplane, spunky Mandy McCabe test-pilots repaired war planes as part of the Women Air Force Service Pilots. If the Army Air Corp shuts down the WASP program, she must return to life in her hard-scrabble home and face her past. DESPITE THE OPPOSITION Army Air Corp Major Harvey Applegate lost his WASP wife test-piloting planes and doesn't want any more women killed on his watch. He fights to close the WASP program. Women aren't designed to fight wars. Men fight to protect women freedom, and the American way of life. 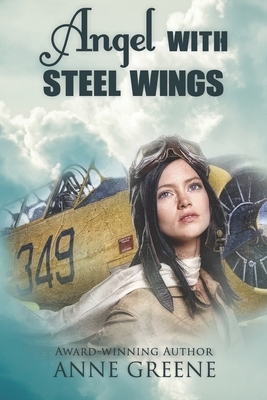 DESPITE THE RAGING WAR This World War II romance shows Steel Magnolias meeting Band of Brothers. Can Mandy escape from her past? Can a man burdened with memories of death agree to added danger for the new woman in his life? Will their new love survive the test of opposing desires and the pain and separation of war? Anne Greene, writing as W.A.Swonger, is the author of Trail of Tears, published by Moody Press. Her Scottish historical romance, Masquerade Marriage, published by White Rose Publishing, released in October 2010. Masquerade Marriage won the 2011 New England Readers' Choice Award and the 2011 Laurel Wreath Award for Published Writers. A Texas Christmas Mystery, published by White Rose Publishing, released in December 2011.